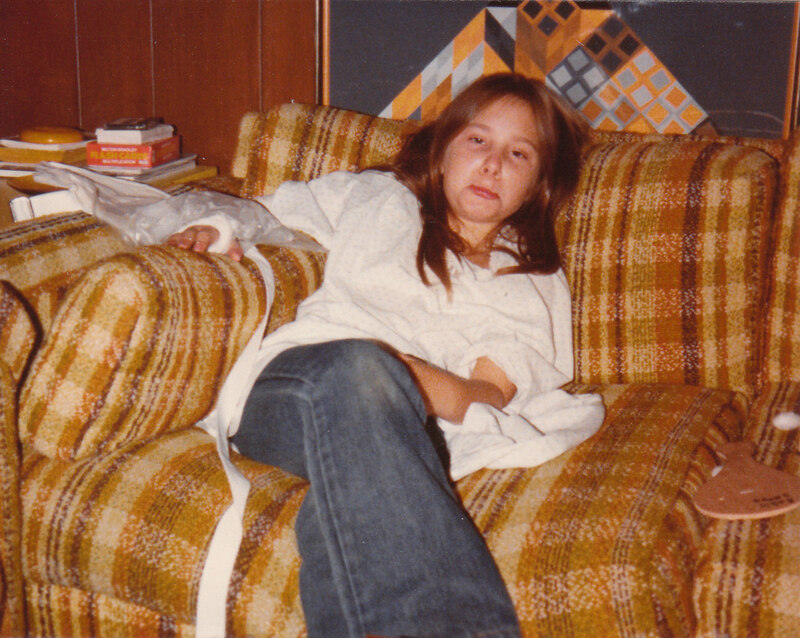 Me with a busted arm when I was 10, but you get the point. 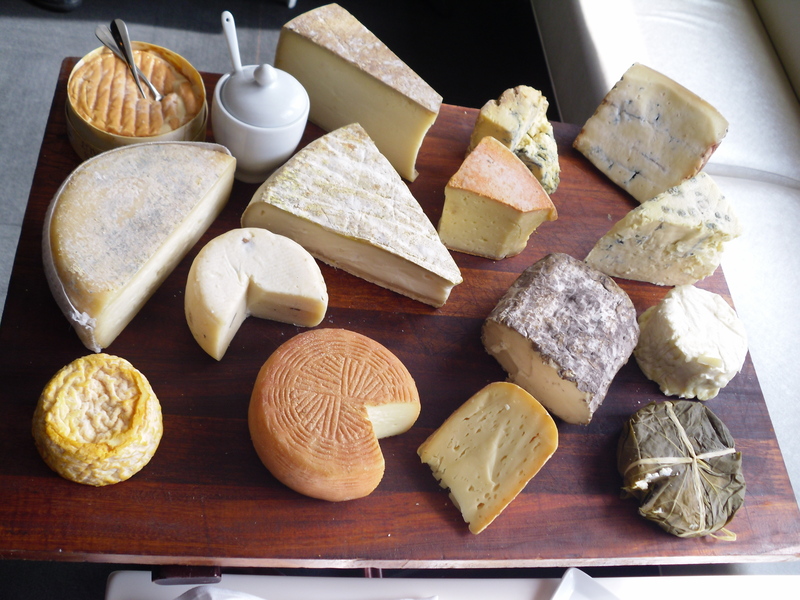 It’s National Cheese Lovers Day! Where do you get your curds? Ypsilanti, Michigan gets kinda a bum rap. 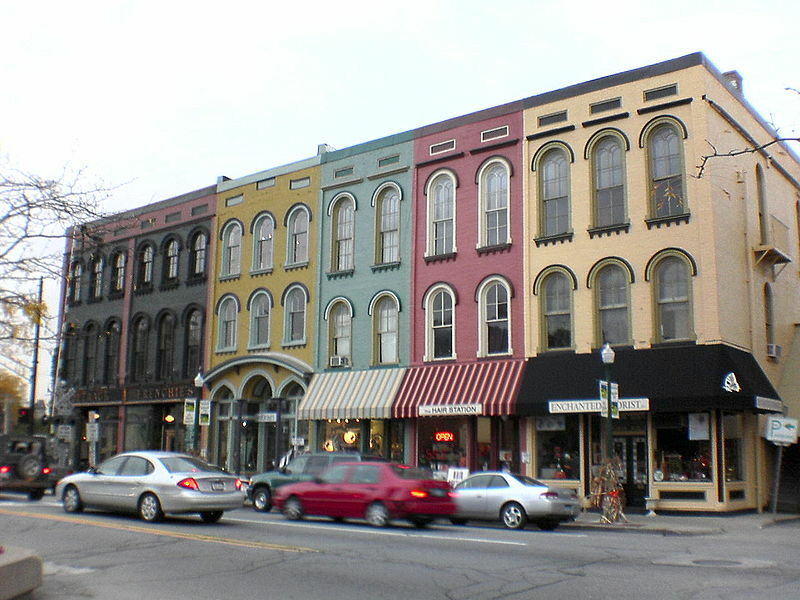 Referred to as the “Brooklyn” to Ann Arbor’s more affluent “Manhattan,” Ypsi (as it is commonly called) has a small population ranging from artsy hipsters to “Ypsitucky” country folk. I personally like Ypsi, especially the historic downtown area and Depot Town. The Mayberry-small-town feel, local color, spectacular architecture, and artistic flair makes Ypsi a fun and funky place to hang out. No surprise that Michigan’s own Zingerman’s created a cheese to honor this tiny yet spry town. 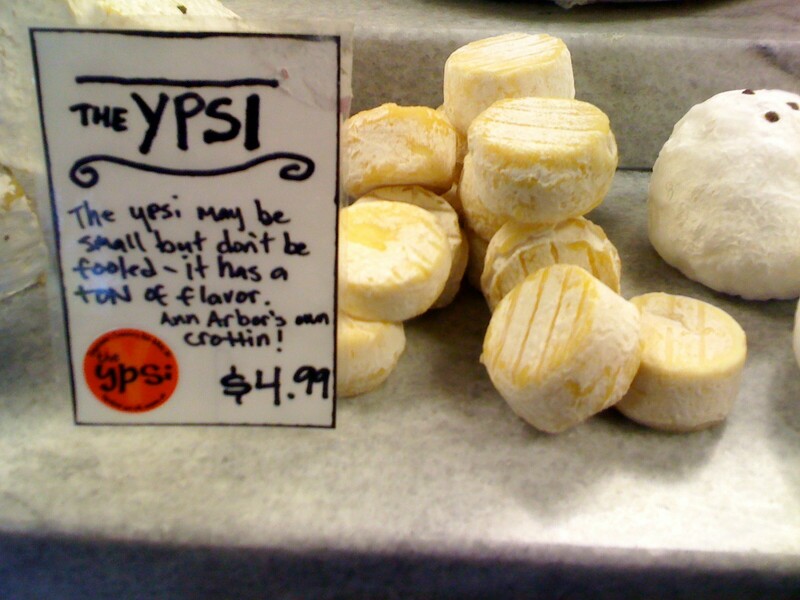 The Little Ypsi is Zingerman’s newest crottin. What’s a crottin? Historically, a crottin is a small round of pasturized goat’s cheese that starts off light and tangy while young, then hardens and becomes stronger and gamier with age. The Little Ypsi I tasted was in its mid stage with a bit of a hard, yellow rind and cream cheese-like texture underneath. I really liked the fresh, salty flavor with a bit of a nutty zing (no pun intended) as it warms to room temperature. Granny Smith apple slices add the perfect balance of tart and sweet on the palate. Available at Zingerman’s Creamery online or at the store location in Ann Arbor, I recommend giving both The Little Ypsi and its namesake town a visit. One of my favorite places to eat in Ann Arbor is Zingerman’s Roadhouse on Jackson Avenue. Part of the Zingerman’s Community of Businesses, the Roadhouse cooks up amazing down-home goodness and even encourages customers to “try it before you buy it” by offering samples of menu items. Co-owners Ari Weinzweig and Paul Saginaw bring in the highest quality of ingredients from around the country and the food is all the better for it. Terry is my favorite waiter at Zingerman’s. His love of cheese rivals mine and he always has the perfect suggestions. Looking for some lighter selections than I am use to (as you may have guessed, I love the pungent, stinky stuff) I wanted to see how the mild side tasted. Terry’s first recommendation was Creamery Great Lakes Cheshire. This is the only American-made Cheshire to date and like its UK brother, this cheese has a hard crumbly texture that becomes smooth on the tongue with a subtle, grassy flavor. A bit of an acidic bite (most likely from the animal rennet) but by no means unpleasant. Next came a Quebec Chevre Noir (center) and is the only Canadian cheese Zingerman’s sells. This award-winning cheese has a firm, dense and flaky in texture yet melts in your mouth with a nutty, herb-like essence. Finally, a 3-year-old Asiago (top right) was a surprise. Usually aged for a year, I expected this Asiago to be sharp and intense. Surprisingly, I found it to be smooth, sweet, and even on the palate. 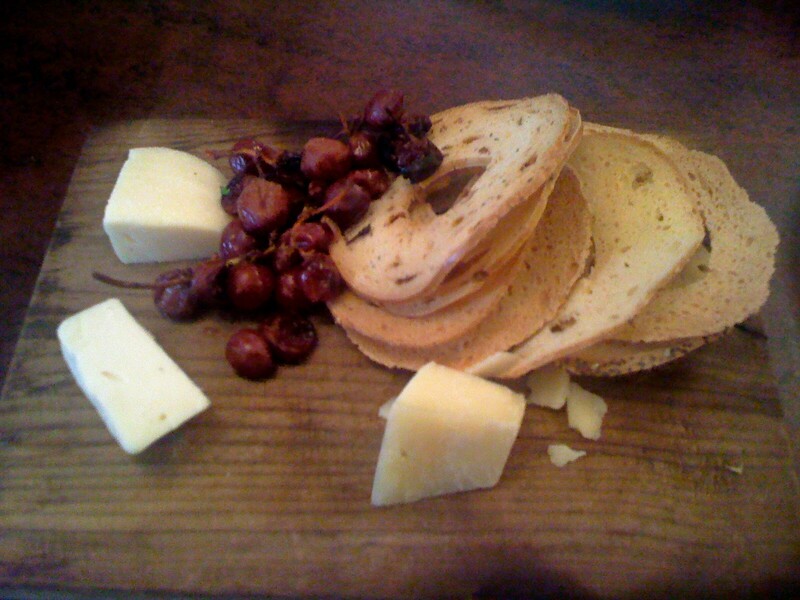 All three cheeses were wonderful, but if I had to pick a favorite I would say it was the chevre. Next time you find yourself in Ann Arbor, check out Zingerman’s Roadhouse and ask for Terry. Tell him Robin sent you! The grapes pictured are oven roasted with a balsamic vinegar toss. Amazing and easy to make. Preheat oven to 400 degrees, toss grapes lightly in balsamic vinegar, roast for 10 minutes and enjoy. These sweet and savory treats pair with both intense and mild cheeses.